The 2012 Chevrolet Rockin’ on the Riverfront concert series will end on a high note with Mark Farner of Grand Funk Railroad and Marshall Crenshaw as they rock the GM Riverfront stage on August 17. The concert presented in partnership with Detroit’s Classic Rock Station 94.7 WCSX-FM and the new Soft Rock 105.1 FM will rock the riverfront stage starting a 7:30p.m. As the top selling American rock group of the 1970’s, Grand Funk Railroad is a surging, elemental blast of hard rock heat that formed in Flint, Michigan. Founding member Mark Farner mastered the combination of soulful vocals, muscular instrumentation and forceful pop melodies. With mega-hits like “We’re an American Band,” “I’m Your Captain/Closer to Home,” “Locomotion” and “Some Kind of Wonderful,” the band rocked the world and sold out concerts in the U.S., Canada, Europe, Japan and South America. 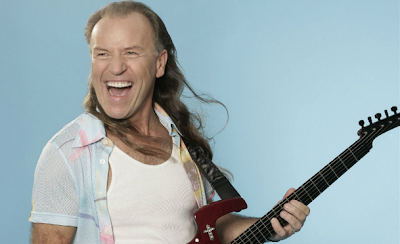 Mark Farner of Grand Funk Railroad will open the show at 7:30 p.m. and Marshall Crenshaw will take the stage at 9 p.m. Located in the heart of the city, between the GM Renaissance Center and Detroit River, the concert seriesis a summer destination for dining and entertainment in Detroit. Admission to the concerts is always free and no advance tickets are necessary. Viewing space is offered on a first-come, first-served basis. Attendees are encouraged to bring their own lawn chairs and blankets. In addition, boaters on the Detroit River are welcome to anchor near the riverfront and enjoy the shows from the water. Rockin’ on the Riverfront offers more than free concerts in its 2012 summer season spanning six consecutive Friday evenings that began July 13. Located in the heart of the city, between the GM Renaissance Center and Detroit River, the event has become a summer destination for dining and entertainment in Detroit. Admission to the concerts is always free and no advance tickets are necessary. Viewing space is offered on a first-come, first-served basis. Attendees are encouraged to bring their own lawn chairs and blankets. In addition, boaters on the Detroit River are welcome to anchor near the riverfront and enjoy the shows from the water. Fans are invited to watch FOX2 in the Morning every week to enter a FOX2 EXPOSED contest for a chance to win a VIP prize package, which includes two (2) VIP access wristbands and lanyards with front row seats, dinner for two (2) at Andiamo Detroit Riverfront in the Rockin’ on the Riverfront VIP section (the evening of the concert only), overnight accommodations for two (2) at The Detroit Marriott at the Renaissance Center (the evening of the concert only), free parking in the Beaubien Garage located on Beaubien Street (the evening of the concert only) and a band meet-and-greet (if available). To enter, access the online contest entry form on the MyFoxDetroit.com and follow instructions. 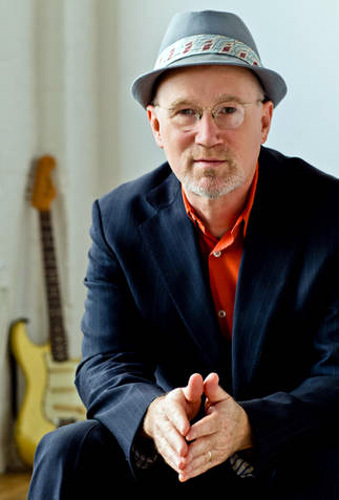 Questions for the Mark Farner and Marshall Crenshaw contest will be read on Monday, Aug. 13. 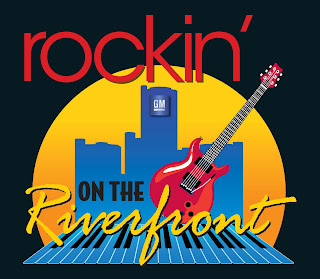 The 2012 Chevrolet Rockin’ on the Riverfront concert series is sponsored in partnership with Detroit Classic Rock Station 94.7 WCSX-FM, the new Soft Rock 105.1 FM, Volunteer Energy, Belle Tire, Quicken Loans and WJBK FOX2. For updates and information, visit www.facebook.com/RockinontheRiverfront. REVIEW: FREE Android Game "Fish vs. Pirates"